When I took down my Easter decor Monday I thought my mantel mirror was looking a little bare. 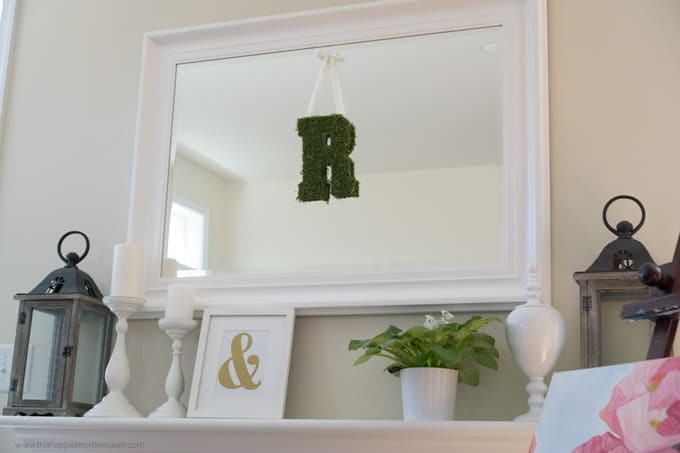 I wanted to replace it with something “springy” so I headed to the craft store and made a DIY Moss Covered Monogram to spruce it up and it cost me less than $10! This is an easy DIY and can be customized in so many ways! 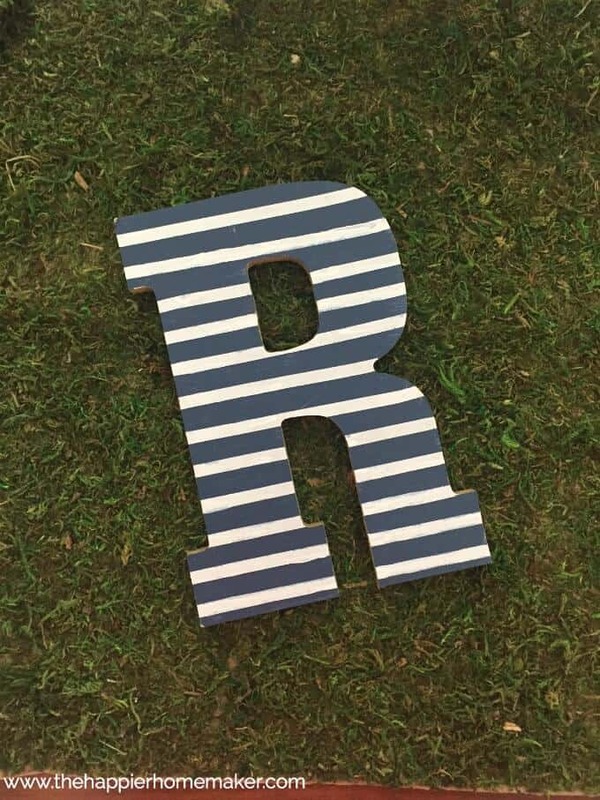 I had a wooden R cutout from a previous project that I was no longer using so I grabbed that to use for my monogram. If you don’t have or want to buy a wooden letter to use as a base you can easily cut your own base out of heavy cardboard-no one will be the wiser! 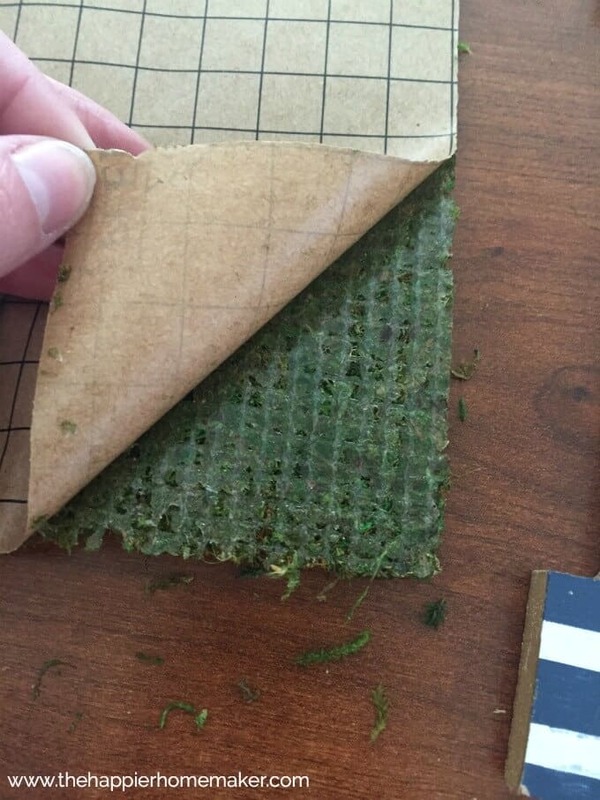 Then I headed to the craft store and picked up a sheet of adhesive moss for $6.99-it was a large sheet, I didn’t even use a quarter of it for this project. 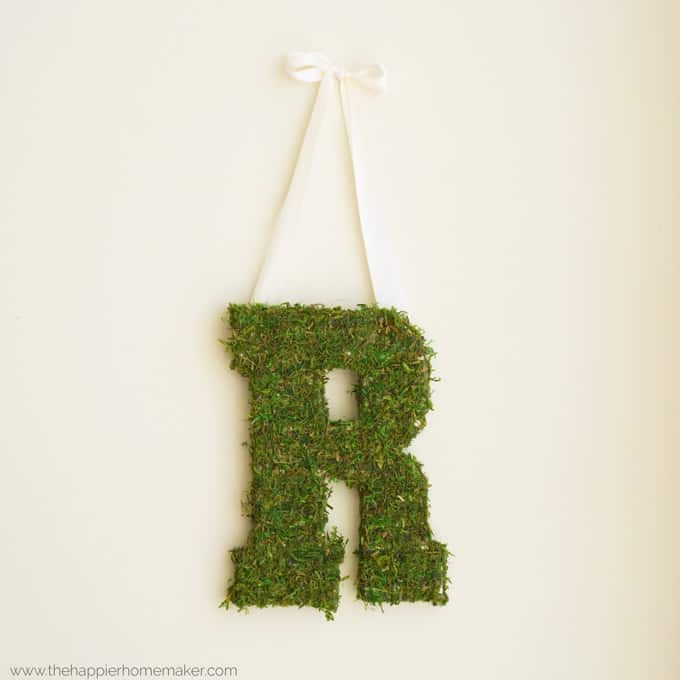 I cut the moss roughly 1/2″ larger than my letter on all sides. 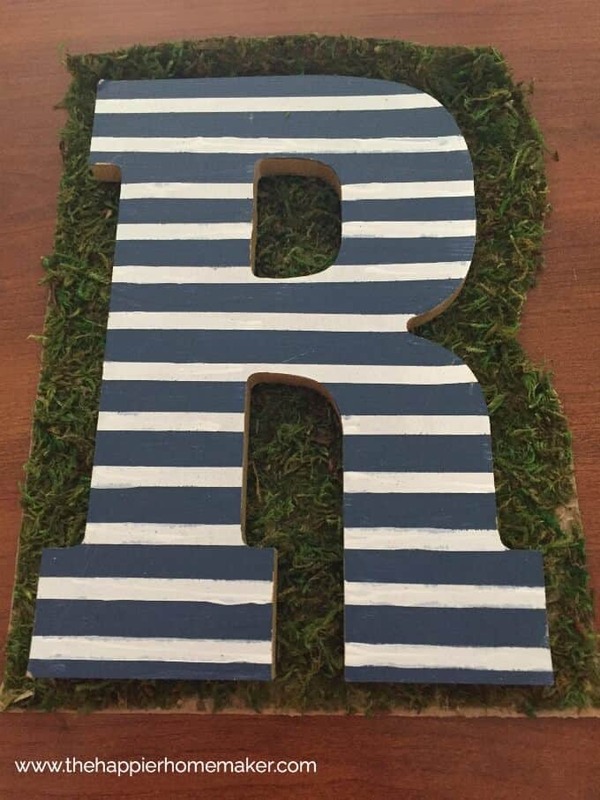 I cut an “X” in the middle hole of the R and a simple snip up between the bottom to allow me to wrap the moss around the edges of the letter. Then just peel the adhesive backing off and place your letter on top face down. 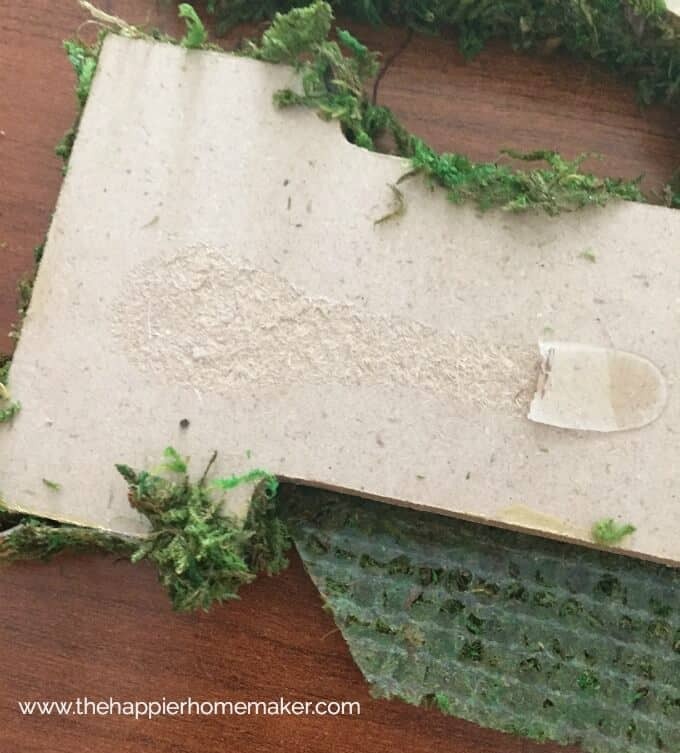 Warning-you will have a TON of tiny moss pieces that will shed off in the process so do this in an area of easy cleanup! 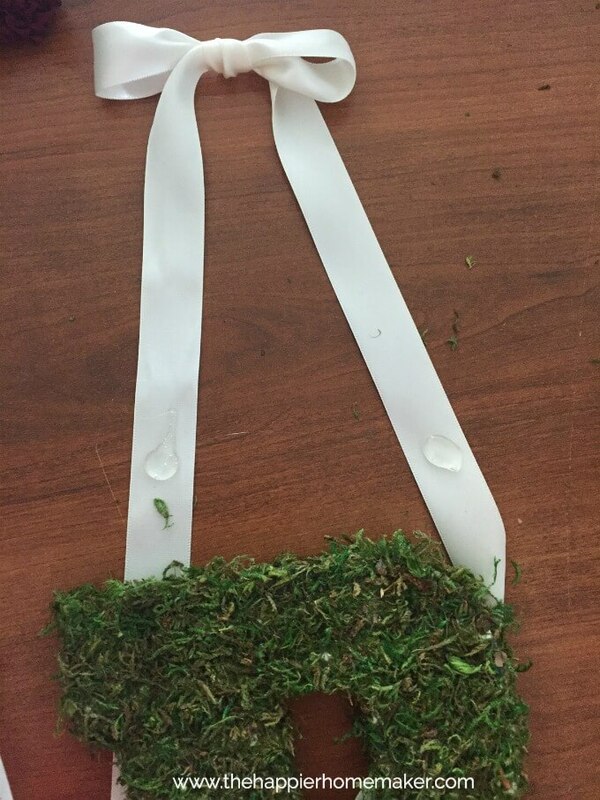 Simply wrap the moss around the edges. If you have corners snip inward toward the letter from the outer edge at a diagonal to wrap it around. I wanted to hang my letter so I tied a bow with some pretty satin ribbon and hot glued the ends to the back of my letter. You could leave off the bow if you were just going to lean the letter on a shelf, etc. And here it is on the mantel…it’s always tricky to photograph mirrors so I took a picture of it against a wall as well at the top of the post. I love ideas that bring a little of the outside inside the home!